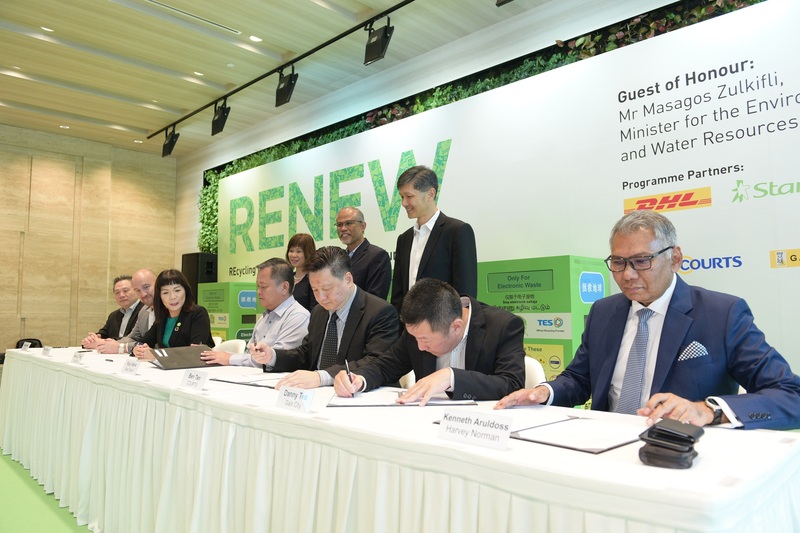 Singapore, 5 June 2018 – Four major electronics retailers – Best Denki, COURTS, Gain City and Harvey Norman have joined DHL, StarHub and TES’ RENEW programme to further encourage electrical and electronic waste (e-waste) recycling in Singapore. Under the collaboration agreement, the four retailers will place the RENEW bins in 20 of their retail stores, further enhancing the outreach of the RENEW programme. These include seven COURTS stores, five Best Denki and Gain City stores each and three Harvey Norman stores. The signing of the agreement was witnessed by Minister for the Environment and Water Resources, Mr Masagos Zulkifli, and Senior Minister of State, Dr Amy Khor at StarHub Green this afternoon. 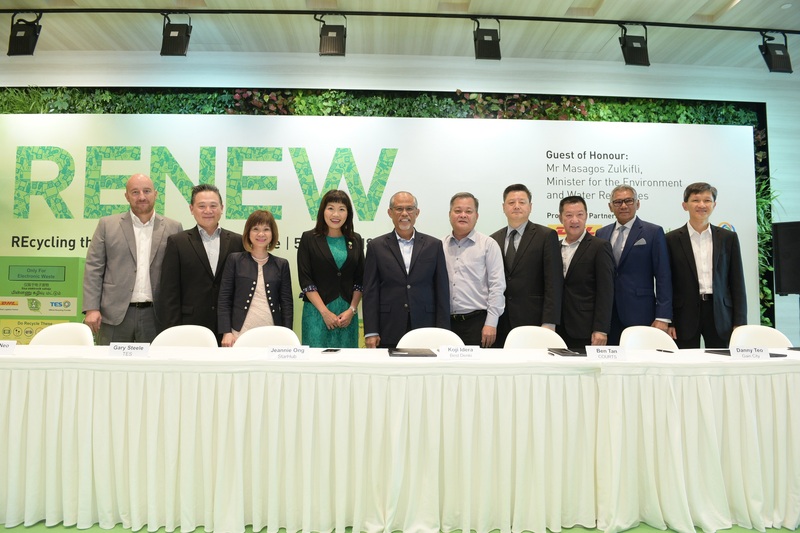 This collaboration between the RENEW partners and the four major electronics retailers is timely, given the growing amount of e-waste being generated in Singapore and the implementation of the national e-waste management system by 2021. The aim of expanding the RENEW programme to include the four major electronics retailers is to provide consumers with greater recycling convenience and encourage them to responsibly dispose of their unwanted electronic devices and information and communications technology (ICT) equipment. Such equipment can contain potentially harmful substances and needs to be treated properly, as well as valuable materials that can be extracted and recycled. Under the programme, StarHub provides the bins, while DHL collects and delivers the e-waste to TES’ e-waste recycling facility. The network of 468 RENEW bins can be found across 422 locations island-wide, including educational institutions, major malls, government offices, office buildings, community clubs and now in these major electronics retail stores. Since the launch of the StarHub RENEW programme in 2012, the amount of e-waste collected has increased exponentially. The programme has cumulatively collected more than 249 tonnes of e-waste since 2012, with over 92 tonnes collected in just 2017, up from the two tonnes collected in 2012. “As DHL works towards our 2050 Zero Emission goal, we want to encourage more of our partners, customers and employees to join us on this journey. E-waste growth will only continue to accelerate with the pace of digital transformation. So we should be growing the awareness of proper e-waste disposal at an even faster rate. 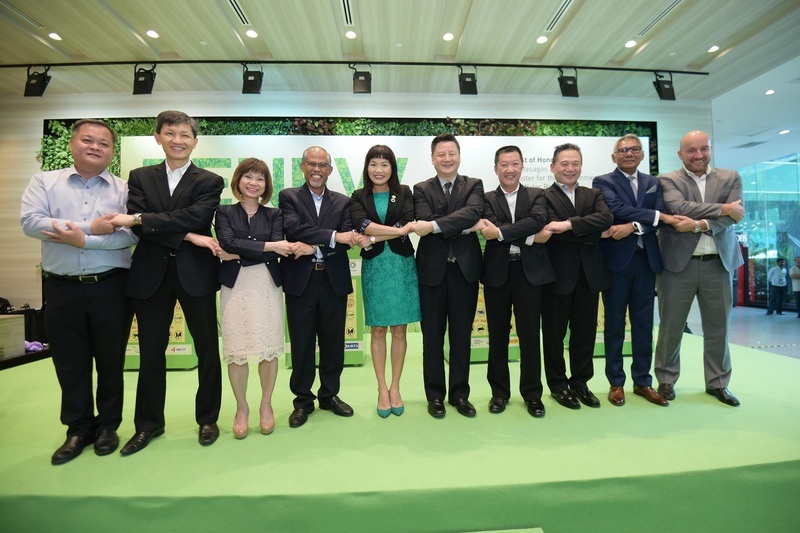 With these retailers – COURTS, Gain City, Harvey Norman and Best Denki – lending their support to the cause, we have a good chance of winning this sustainability race against e-waste,” said Mr Julian Neo, Head of Commercial, DHL Express Singapore. 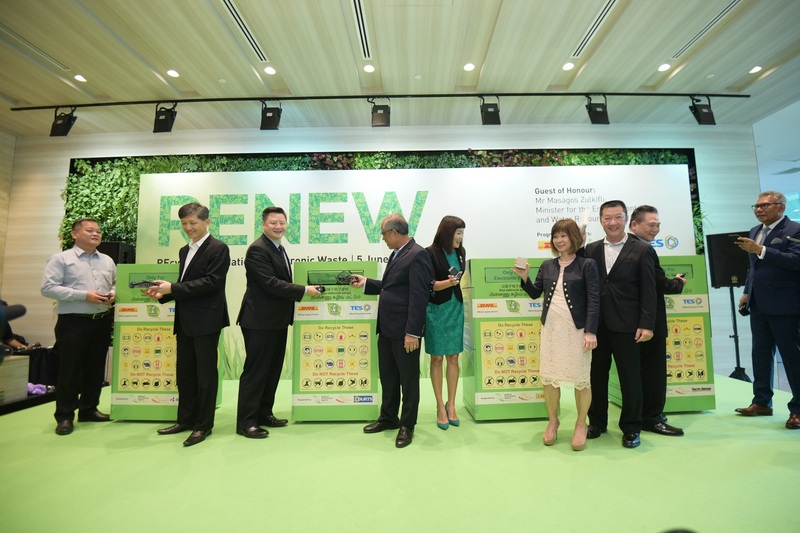 RENEW is a voluntary community initiative by DHL, StarHub and TES. Non-bulky e-waste items such as mobile phones, cables, modems, laptops, remote controls, keyboards, mice, DVD players, MP3 players and lithium-ion batteries from individuals can be deposited into the RENEW bins. All members of the public are encouraged to recycle their electronic waste through these bins. For more details, please visit www.starhub.com/renew.